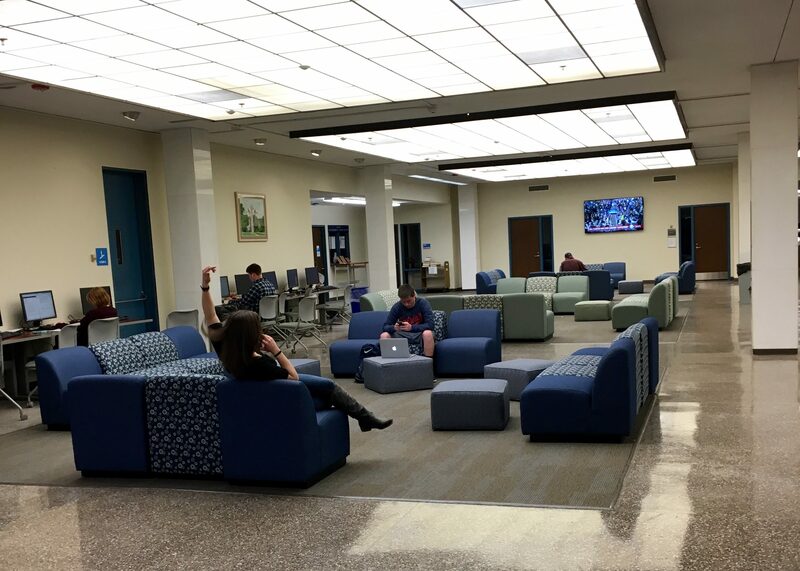 Students and faculty at the University of Rhode Island may have noticed some improvements to Robert L. Carothers Library this semester, such as the newly reupholstered seating on the first floor or the installation of three new 18-foot bar tables. Students have the inmates of Correctional Industries to thank for much of the behind-the-scenes work. The State Use Law requires all political subdivisions, non-profit organizations and other eligible organizations outside the private sector to buy from Correctional Services for merchandise purchases of furniture items, but Flaherty says the law isn’t regularly enforced. Although being “forced” to go though the state Correctional Industry may seem like a poor option for state agencies, there are many positive benefits for the consumer and inmates involved in the buying process. Government agencies that work with Correctional Industries are able to complete projects without having to go to bid, which Flaherty said helps to save time since contracts do not have to be publicly listed for outside business to bid on. Â The prices from Correctional Industries are also much more affordable in comparison to their competitors because the state is able to pay prisoners by the day to assemble and install the furniture. 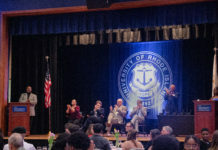 In preparation for future plans, DiCesare said the university is working with Correctional Industries to create even more student learning spaces within the library. Â These plans include introducing soft seating to the second floor and updating all of the old wooden chairs and tables on the first and second floor to the newer, soft-rolling chairs seen throughout most of the first floor already. Â In total, DiCesare estimates that this will create roughly 125 new seats for students. On a grander scale, DiCesare said that Correctional Industries is also helping to create a “Maker’s Space” beside the new Active Learning Classroom. This new space will feature cutting-edge technology that students and faculty in any field of study will be able to utilize. Â Some of the planned technology to be incorporated into the space will include 3D printing, a mechanical arm and virtual reality goggles for simulation, according to DiCesare.